A Bahtinov mask can help you achieve a sharp focus for your astrophotography images. 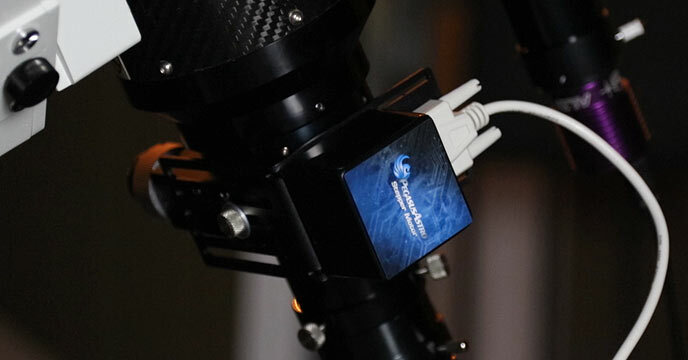 This process is an essential step of any deep-sky astrophotography session. With so much time and effort put into your polar alignment and autoguiding accuracy, it would be a shame to spoil a photo due to poor focus. Over the years, I’ve had my fair share of deep-sky astrophotography focus mishaps. In many cases, I did not realize how bad the focus of my image was until I attempted to process the final image. You can avoid this unfortunate circumstance by using a simple tool that effectively confirms that your focus is as sharp as can be, a Bahtinov mask. No matter which type of camera you use, a Bahtinov mask can help you achieve a higher level of accuracy when focusing your telescope or a camera lens. 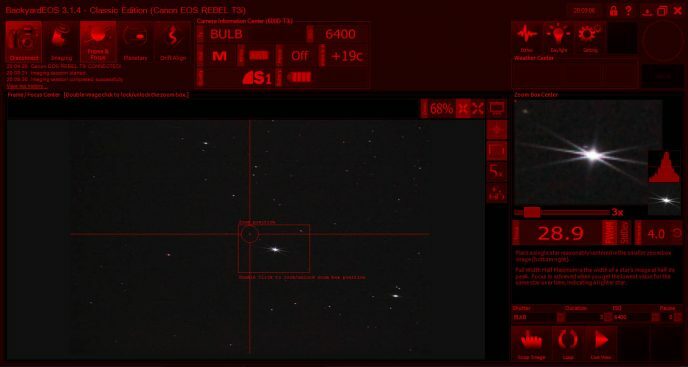 Unlike autofocus and star measuring software tools, this “old school” method can be done without the use of an external computer, and only takes a minute. The process involves placing the focusing tool on the objective lens of your telescope or camera lens, and observing a bright star. The design itself was created by Russian astronomer, Paul Bahtinov. The mask helps visual observers and digital astrophotographers to achieve a razor-sharp focus in seconds. Other types of focusing masks include the Hartmann mask and Scheiner Disk. In general, the smaller the stars are in your image, the better. One of the reasons I love apochromatic refractors, is their ability to capture colorful, pinpoint stars. However, this pleasing characteristic is only present when your focus is spot-on. Refractor telescope owners expect razor-sharp details in their photography, so mastering the art of focusing stars is a must. Different types of telescopes have better ways of achieving a sharp focus than others. 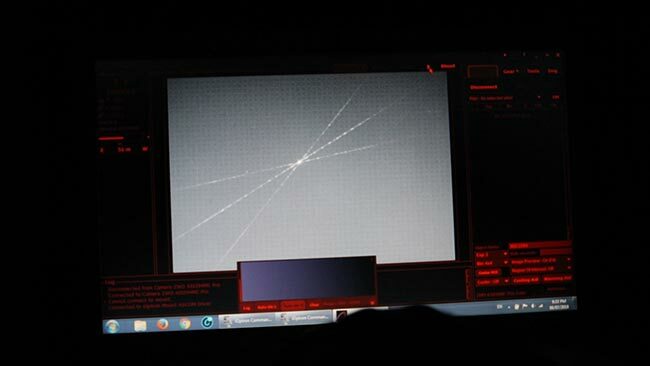 For example, a Newtonian reflector creates its own star diffraction spikes by nature of its design. These patterns can be dissected and tweaked to diagnose issues with collimation and find a sharper focus for astrophotography. In this post, however, I’ll be describing tips that are most useful to those shooting with a refractor telescope, that are using a manual focus routine. Automatic and motorized focuser users have the ability to use software that tells them when a star is as sharp as possible. (Such as the FWHM measurement in BackyardEOS or APT). But if your shooting with a DSLR camera or dedicated astronomy camera and you just want quickly confirm your focus is on – using a Bahtinov mask is one of the easiest ways to do this. The latest version of this focusing tool is the best I’ve ever used, because the improved design allows more light to pass through the mask. The diffraction spikes Bahtinov mask from William Optics is a patented design, and it works exceptionally well. It’s an acrylic Bahtinov mask that is uses a clear optical material for improved light transmission. You may have noticed me using this focusing tool in a number of YouTube videos. The optical acrylic material really helps to create large, intense diffraction spikes that make focusing easy. A nice bonus to this tool is that it also aids in the star alignment process. When the acrylic Bahtinov mask is applied, you will begin to see the elongated star spikes enter the image frame long before the actual star itself. I really enjoy being able to quickly confirm that my focus is as sharp as possible in a moments notice. I always lock the focuser into position before capturing the first light frame, but it’s nice to check to see if it’s still dialed-in later on throughout the night. 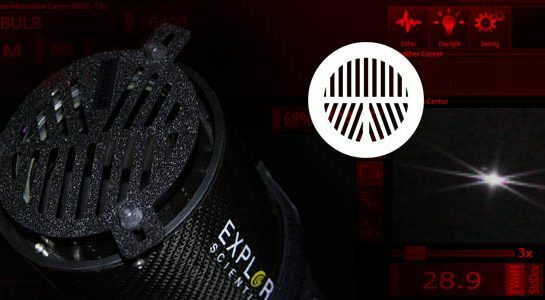 It takes less than a minute to place the mask on the telescope and check to see if the central spike is still centered in the “X”. If I need to make a slight adjustment, and I can easily do so between sub frames. I enjoy the simplicity and visual nature of diagnosing and correcting the star diffraction spike pattern. This technique provides instant gratification in real-time, which is rare in this hobby. Bahtinov masks are inexpensive, and easy to use. It’s a nice upgrade to your on-going list of astrophotography accessories that won’t break the bank, but makes a big impact on your images. While aiming a bright star, you simply place the Bahtinov focusing mask on your telescope’s objective lens and secure it into place using the provided rubber tabs. This process is easier when the telescope is pointed straight up near the Zenith, so try to use a bright star that’s high overhead to focus on. The openings in the mask design create a set of diffraction spikes on the star that will assist in the accuracy of our focus. It will appear on your DSLR display screen or computer as an “X” with a line through the center (when in focus). As you adjust the focuser of your telescope, the central spike will move in and out of the X-pattern. If you are looping the image in 2-3 second intervals with your camera control software, you’ll need to wait for the latest preview to appear before making changes. 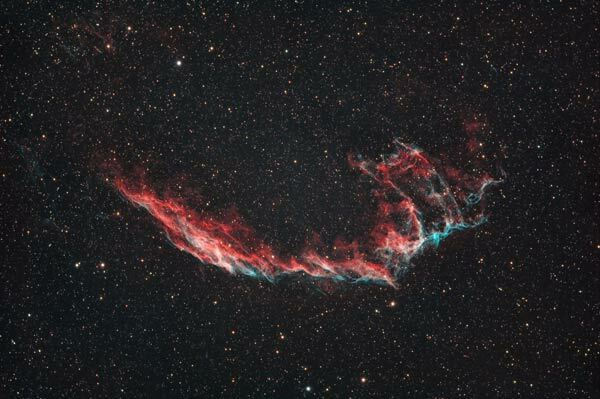 I prefer to use a loop of about 4-seconds for a bright image using Astro Photography Tool. The same process applies using Live view display on your DSLR camera. The difference is, the image will be much dimmer, as you are essentially looking at a live video feed rather than a short image exposure. If you use a camera control software such as BackyardEOS or Astro Photography Tool, you’ll have the advantage of taking short test exposures that will show a much larger diffraction spike. You can also magnify the center of the pattern to get the focus just right. If you haven’t heard of focusing using live view, I’ll briefly explain how it works. Most DSLR cameras (such as the Canon Rebel XS and beyond) have a feature known as “live view”, where a real-time picture is displayed on-screen. When you are in focus, bright stars in the night sky will appear on the screen. Even a subtle change in focus can be the difference between a star that is in focus, and one that is so far out that you cannot see in on your live view display. If you are having trouble focusing your DSLR camera through a telescope (whether you’re using a Bahtinov mask or not), pay attention to the following tips. You are not pointed at a bright enough star! First, make your life easier by pointing your telescope at bright star such as Sirius, Betelgeuse, Vega, Deneb etc. These stars are all bright enough to appear on your live-view screen. Next, make sure that your camera is set to it’s highest ISO when focusing via live view. On the Canon T3i that I use, that happens to be ISO 6400. Make sure your DSLR camera is set to Bulb mode – the longest possible exposure – past 30”. Slower shutter speeds will dim the star, and we want it as bright as possible for focusing. A dual-speed Crayford style focuser really helps when adjusting focus at this level of accuracy. What about using a camera lens? The same settings apply if you are using a camera lens in place of a telescope. The only extra step you will need to take is to make sure that the lens is set to its fastest aperture. 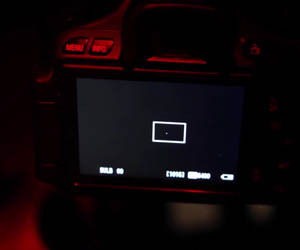 A lens set to an aperture of F/4 or faster will allow plenty of star light to reach the sensor. If you are not satisfied with your results using a Bahtinov mask, you can improve your focusing accuracy using dedicated astrophotography software like BackyardEOS. 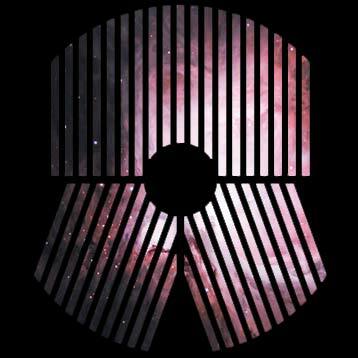 BackyardEOS was built to help astro-imagers improve their acquisition process in the field. There is an excellent function within BackyardEOS that has provided me with a higher level of focus accuracy than ever before: FWHM. Find BackyardEOS and all of the other software I use for astrophotography on the Resources page. FWHM is a precision focusing aid feature included with BackyardEOS. It is found within the “frame and focus” tab at the top left of the screen. This function associates a value on the star you have selected in a target window. Using the live view mode within BackyardEOS will show you a real-time image of a bright star in your field of view. Remember to use the same camera settings as discussed earlier while performing this task. Manual Mode, Bulb Shutter Speed, High ISO, and Pre-Focus. First, make sure the Live view button is pressed in the lower right-hand side of the BackyardEOS interface. If your camera settings are correct, and your focus is close, you should see a number of stars on screen. I prefer to choose a medium-sized star within the frame as my target star. Double click the target window around your chosen star. This will show a zoomed-in preview window at the top right of the interface. You will now notice a number below this zoomed star image, and this is the value we will monitor to achieve a high accuracy of focus. The Zoom box center can zoom in on the star if desired, but I prefer to use the default 3X zoom. 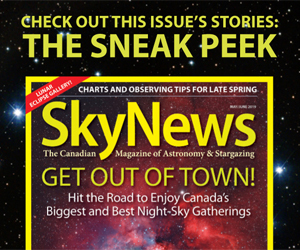 Adjust the fine focus knob on your telescope and watch as the number associated with that star changes. The goal is to get the star as small as possible, with the lowest number. There is no set number to reach, as stars vary in size. On a medium sized star, I usually reach a number as low as 3.6, give or take. Once you have reached the lowest number possible for that star, go ahead and lock your focus into position using the lock screw on your telescope. Do not use a Bahtinov mask if you are using the FWHM function of BackyardEOS. The photo above is misleading because you will only be adjusting focus and referring to the FWHM number when the mask is off. The Zoom box is used for an up close look at the star diffraction pattern only. A real reading of the star size can only be obtained when the mask is off. When it comes to focusing with a Bahtinov mask, or the FWHM function, it’s one or the other. For my small refractor, the live view image was not bright enough to get a useful star diffraction pattern. Instead, I used short preview exposures (the Snap Image button) and made adjustments back and forth. After about 3 slight focus adjustments, I was able to produce the ideal star diffraction pattern to indicate that my focus was as sharp as possible. The nice thing about the Bahtinov focus mask is that the star diffraction pattern provides you with a useful visual aid. Slight changes in focus are evident in the star pattern right away. In early 2018, I installed a Pegasus Astro stepper motor kit on my Explore Scientific ED102 refractor. This telescope upgrade allows me to me micro-adjustments to focus without touching the telescope. Aside from being able to make fine adjustments to the focuser, it also means that I can now adjust the focus remotely from inside the house. This comes in handy on those cold winter nights with the gear running outside. It now has this ability to focus on its own, although I have not deployed the autofocus features as of yet. 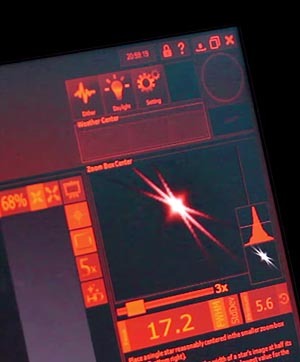 The dedicated focuser software reads the star size information and communicates with the motor to make small adjustments to the focuser as needed. A temperature probe reads the ambient temperature outside to decide if a focus tweak is required. As for the rest of the telescopes I use, the Bahtinov mask makes the focusing routine simple and straight forward.